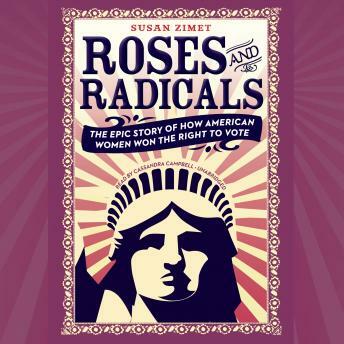 The riveting story of the brave and passionate women (and men) who risked everything to gain the women's right to vote and change history in America. 'Women's rights are human rights.' The words are relevant today, but they could just as easily have been used by Elizabeth Cady Stanton at Seneca Falls in 1848. Or Susan B. Anthony when she was arrested for voting in 1872. Or Alice Paul when she was imprisoned and tortured for peacefully protesting outside of the White House in 1917. The story of women's suffrage is epic. For over 70 years, heroic women risked their lives for the cause knowing they likely wouldn't live to cast a vote. At a time when sexism was inherent in daily life, these women (and a few men) created a movement and fought for it passionately until the vote on the 19th amendment was finally called in 1920. It passed with only one vote to spare. This under-explored history resonates now more than ever, and will remind readers that ordinary citizens and peaceful protest can affect lasting change in this country.